WAPPAPELLO, Mo. – The Missouri Department of Conservation (MDC) is seeking public input on a possible regulation change for crappie fishing at Wappapello Lake in Wayne County to both allow anglers to keep more crappie and promote more consistency in the quality of the fishery. Wappapello Lake is a popular fishing location in Southeast Missouri. 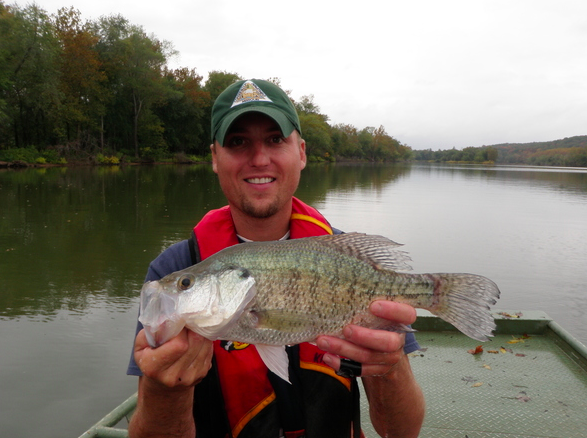 According to MDC, crappie are the most popular fish sought by anglers fishing the lake. Under the existing MDC regulation, anglers may harvest a daily limit of 30 white and black crappie combined with a minimum length of 9 inches. Under the proposed regulation change, there will be no minimum length limit for crappie. The daily limit will remain at 30 crappie, but not more than 15 of those fish could be above 9 inches. The proposed regulation change would allow anglers to harvest more of the slow growing black crappie, while preventing overharvest of white crappie. “I hope to see a lot of the anglers at these upcoming meetings and have the opportunity to visit with them about this proposed change,” Knuth said. Sept. 17, 6 to 8 p.m. at New Home General Baptist Church, 1864 Hwy AA, Poplar Bluff, MO 63901. MDC invites public comment on the proposed regulation change online at www.mdc.mo.gov/CrappieComments. Fishing regulations can vary between waters so anglers should check regulations for the specific waters they are fishing. For more information about fishing in Missouri, visit https://huntfish.mdc.mo.gov/fishing. Fisheries Management Biologist Dave Knuth holds a crappie at Wappapello Lake. Knuth looks forward to meeting with anglers to discuss the proposed regulation change at the September open houses in Greeneville and Poplar Bluff .